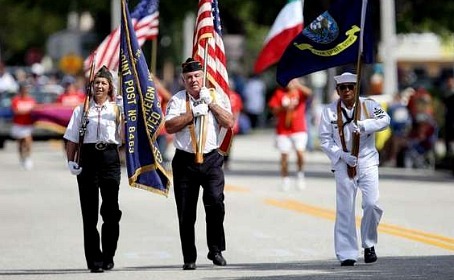 The Columbus Day Parade and Italian Food Festival in Cape Coral is a fun way to celebrate freedom, family, and food! I love a parade ........ don't you?! The sound of drums, marching bands, kids, and floats ........... all make me smile in anticipation of the fun that's ahead. The Sons of Italy Italian-American Club at the Charles Bonaparte Lodge 2504 has been putting on this festival since 1983 and strive to make it a street fair that appeals to young and old alike. You'll enjoy performances by local musicians like the Del Prados and up and coming entertainers, plus give-aways such as candy and firemen's hats, and face painting. There appears to be no plans for a parade and festival for October, 2016. Everything starts at 3PM with the parade, which begins on SW 47th Terrace at SE 15th Avenue and travels west to SE 10th Place. 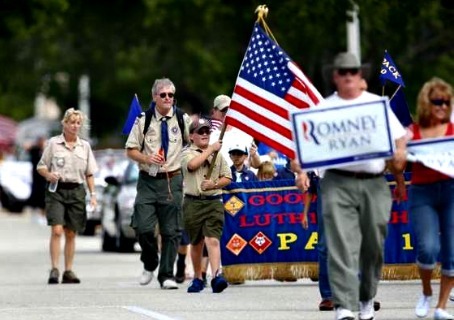 It's gotten bigger and bigger and now a crowd of over 10,000 comes for vintage cars, fire engines, police motorcycles, local politicians, Knights of Columbus, boy scouts and girl scouts, veterans, and beauty queens. The parade ends up where you'll find tons of vendors, music, and of course .......... the food, so bring your appetite! 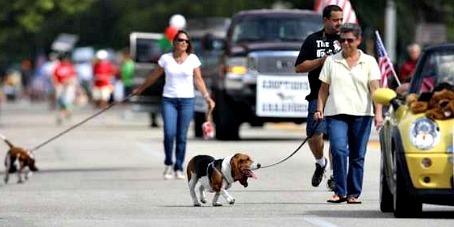 Other organizations that participate are The Cape Coral Republican Party, the Cape Coral CRA, and the Dixie Roadhouse. Columbus Day has been celebrated since 1892, when President Benjamin Harrison issued a proclamation on the 400th anniversary of Christopher Columbus's landing in the Americas in 1492.